Nations Press feature OFW CONSTRUCTION WORKER IN SAUDI WINS PHP 112M LOTTO JACKPOT,WHILE ON VACATION HERE! OFW CONSTRUCTION WORKER IN SAUDI WINS PHP 112M LOTTO JACKPOT,WHILE ON VACATION HERE! While on vacation in the Philippines, the 33-year-old OFW personally placed a Php20 bet using the combination at a lotto ticket booth in Cavite – and this time, he won! he's been working in Saudi on a contractual basis for 10 years now but he was also a consistent Lotto bettor, with his wife being the one who would bet for him using the standard combination of 33-35-13-27-05-12. 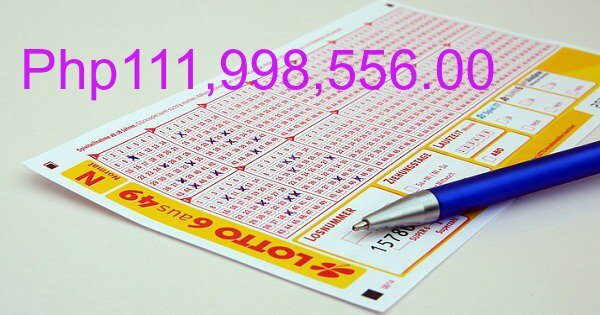 As the sole winner, he takes home the jackpot price of Php111,998,556.00; though he wouldn’t be able to get the whole amount as this is still subject to taxes and fees. Still, the amount is already a big one – in fact, it is big enough for him to consider not going back to Saudi. The OFW revealed that he plans to open a business in the Philippines so he wouldn’t have to go back to Saudi; after all, his job there is still on a contractual basis, anyway. As for the business, he’s still unsure what type of business he is set to open but we hope he gets sound financial advice on this so he wouldn’t be wasting his money like many other Lotto jackpot winners before him who went from rags to riches and back to rags after their money ran out. He also said that he will be saving the money for his kids future.